This title is called Make My Day: Tokyo in North & South America and you can buy it here. Both editions contain the same great content. Hardback. 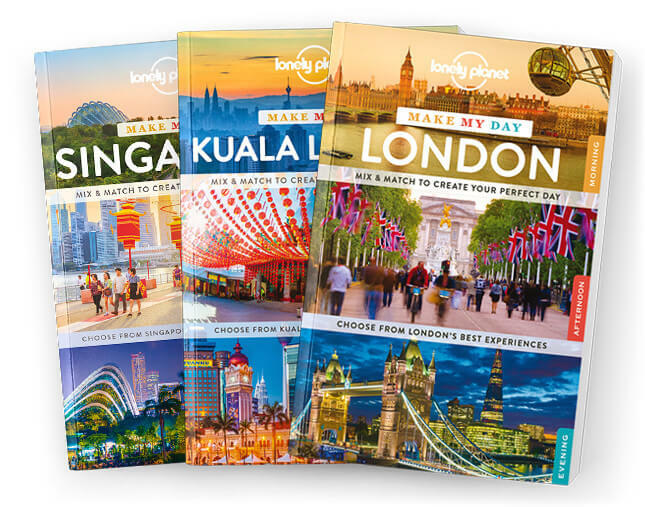 Lonely Planet’s Make My Day: Tokyo is a unique guide that allows you to effortlessly plan your perfect day. Flip through the sections and mix and match your itinerary for morning, afternoon and evening. Start the day at Tokyo’s grand Shinto shrine Meiji-jingu, join the throng at Shibuya Crossing in the afternoon before exploring Shinjuku nightlife in the evening; all with your trusted travel companion. Planning your city adventure has never been so easy and fun.